I’m back in the United States from my family trip around the world. And though not officially back home in Boulder, it’s time to get Unemployable fired up again. You may have signed up while the show has been on hiatus, and maybe don’t remember. So if you feel like you don’t want the Unemployable newsletter at this point, no hard feelings — here’s the unsubscribe link. The new season of the podcast kicks off next week with Seth Godin on the future of marketing. A solid conversation you won’t want to miss. I’ll be doing a series of episodes exploring the best software tools for freelancers; the kind of technology that actually makes your business and life better. Many of you know Jerod Morris from Copyblogger. He’s joining the show as both producer and co-host, and we’ve got some next-level stuff planned. Really excited! Also joining the team is freelance writer Kat Ambrose. Kat will be contributing original articles each week, as well as bringing you Curation by Kat — her top picks for solo-business advice from around the web. Everything starts full steam next week, but in the meantime, Kat’s got smart content for you. You can read her article on money mistakes that freelancers make, and scroll down for her curated picks for the week. MemberPress is an easy to use (but powerful) WordPress membership plugin that allows you to instantly start charging for access to valuable content. It’s perfect for “non-techies” (which is also helpful if you’re creating on behalf of a client). MemberPress is easy to use, fast to install, and gives you the ability to confidently create, manage, and track membership subscriptions and sell digital download products on your site. Find out more here. Money management is just one of the *many* things we face as freelancers. If you’re not a numbers person like myself, this topic can be especially intimidating to address. Have no fear; this article will walk you through some of the most typical money mistakes freelancers make (and what to do about ‘em). No frills, no complicated financial jargon. No matter what type of solo business you have, having a solid grasp on SEO can help you in many ways. Whether you’re advising a client on a project or want to boost your own traffic and lead generation, this is a good post to keep bookmarked. As freelancers, time is a tricky thing. If you charge by the hour — or even if you don’t — the time you spend not working can make even the most seasoned freelancers feel guilty at times. But we didn’t go out on our own to work more, right? This article unpacks the complicated guilt that often comes with working solo. Rethink your storytelling methods with this insightful read from the amazing Ann Handley. Give this a try when you go to write your next blog post. Jeremy Nguyen’s hilarious recreations of Dr. Seuss cartoons will have any freelancer smiling — and possibly cringing at the same time. Kat Ambrose is a freelance writer who creates content for ecommerce and SaaS companies. See what she’s up to on Twitter or learn more about her at her website. Please Rate/Review the Unemployable podcast on iTunes, and share the Unemployable newsletter with a friend or colleague … thank you! 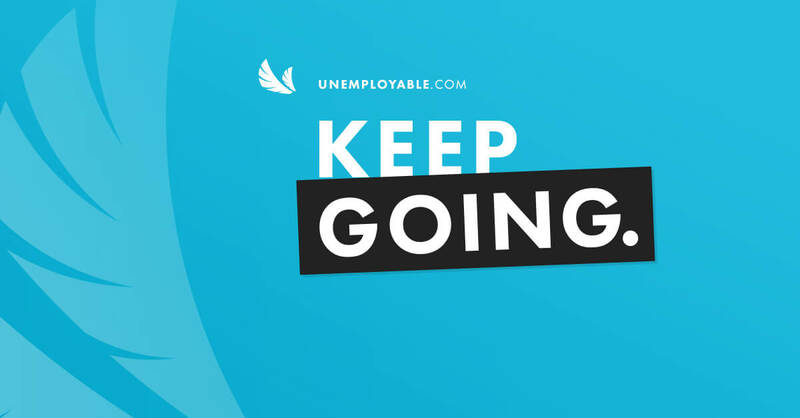 If you’re not already on board with us at Unemployable, why not?